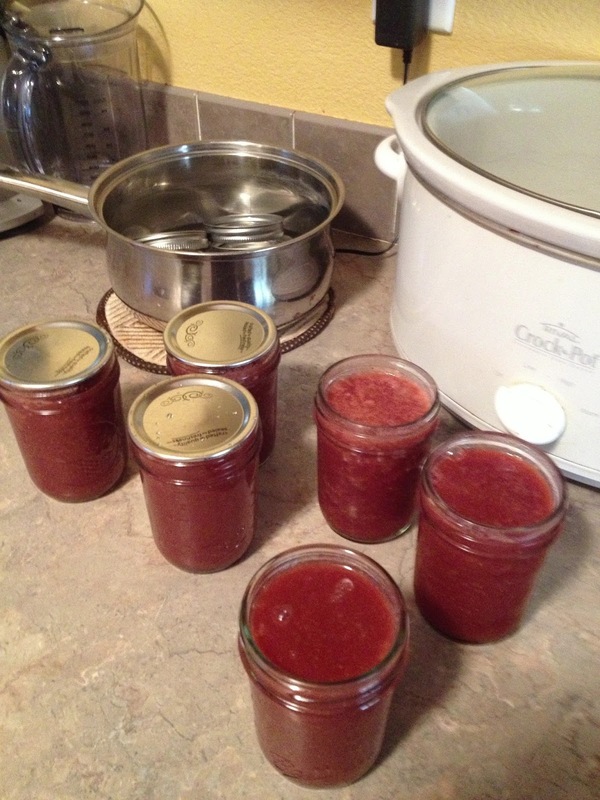 Every July, strawberries drop in price (I got them for $0.88/lb) and I load up for the year's canning. 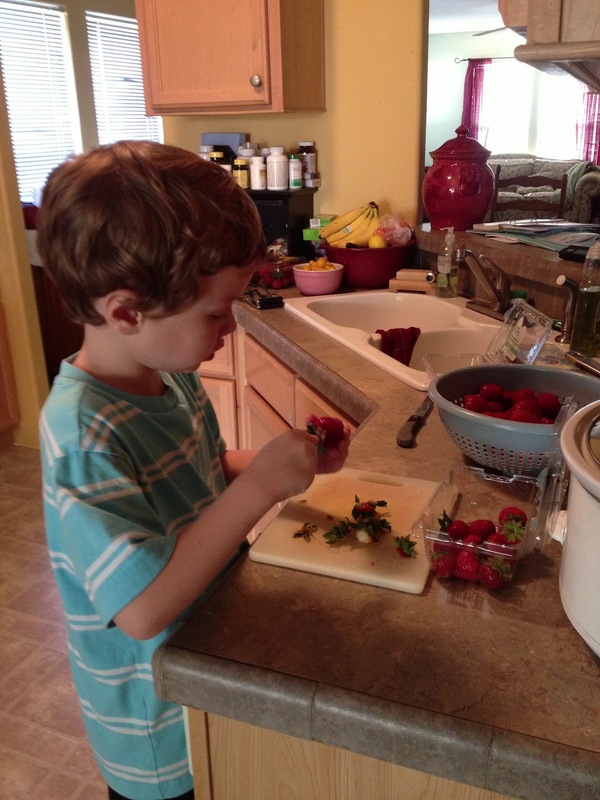 We love many different flavors of jams, but my kids never tire of strawberry. And, they prefer it on their peanut butter sandwiches. But I also wanted to try some new recipes that I'd found in my canning cookbooks. 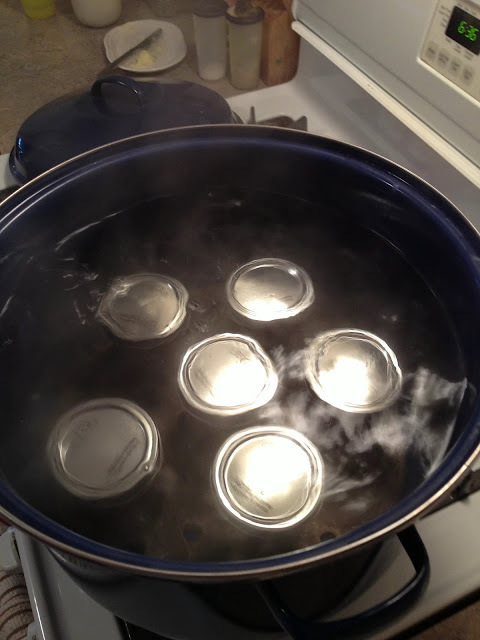 If you're new to canning, do not be intimidated! 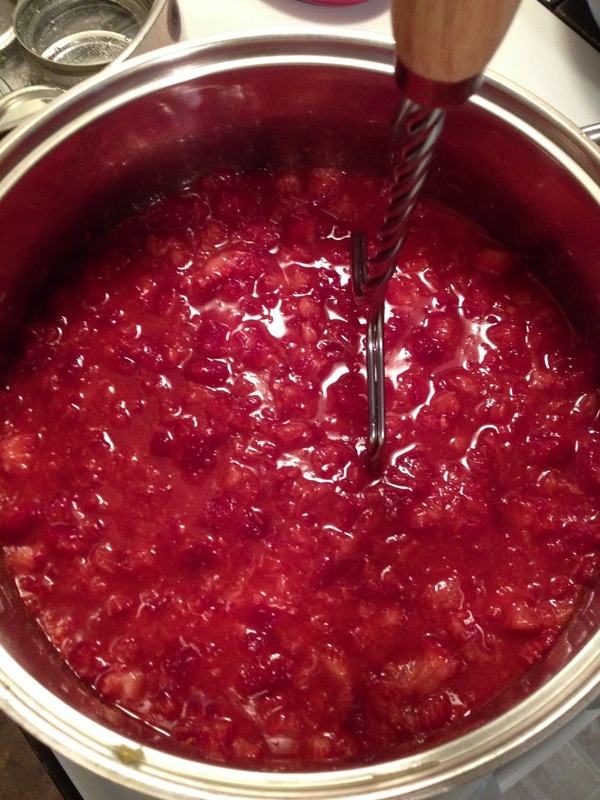 The process is pretty much the same, regardless of fruit or flavors. And it's pretty hard to have a total failure. 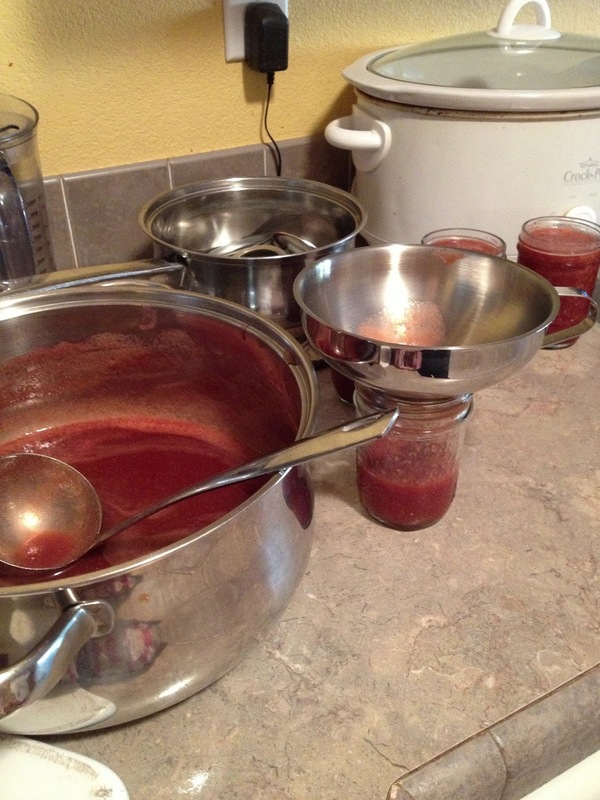 I found a recipe for Strawberry Maple Smooch in the Ball canning cookbook. 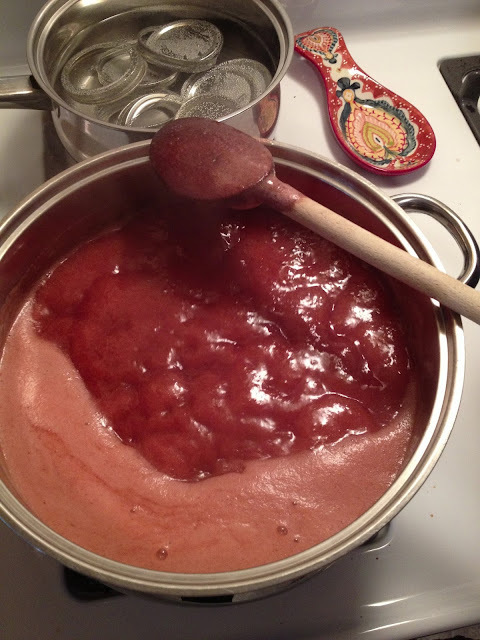 It is a naturally sweetened sauce that can be spooned over desserts, oatmeal, or yogurt. I wanted to give it a try, and I definitely had the strawberries to spare. First I washed the berries. 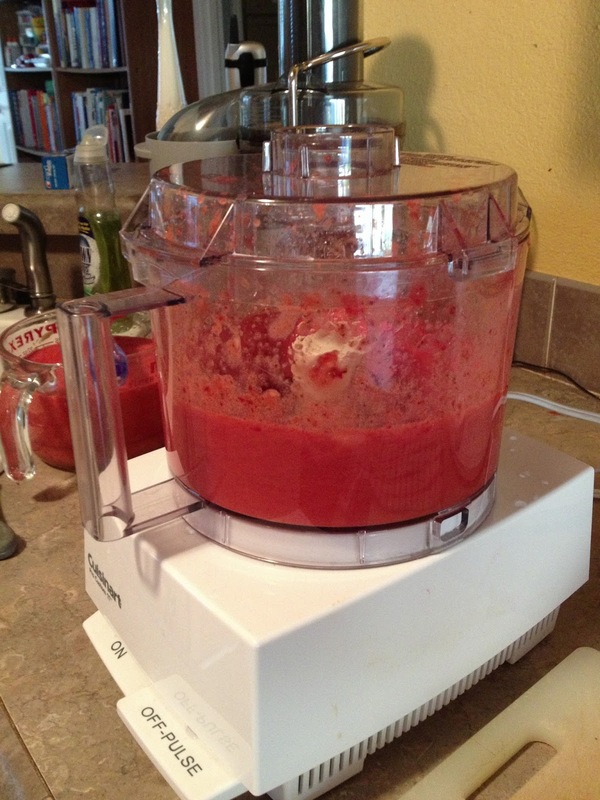 Then I pureed them in the food processor. 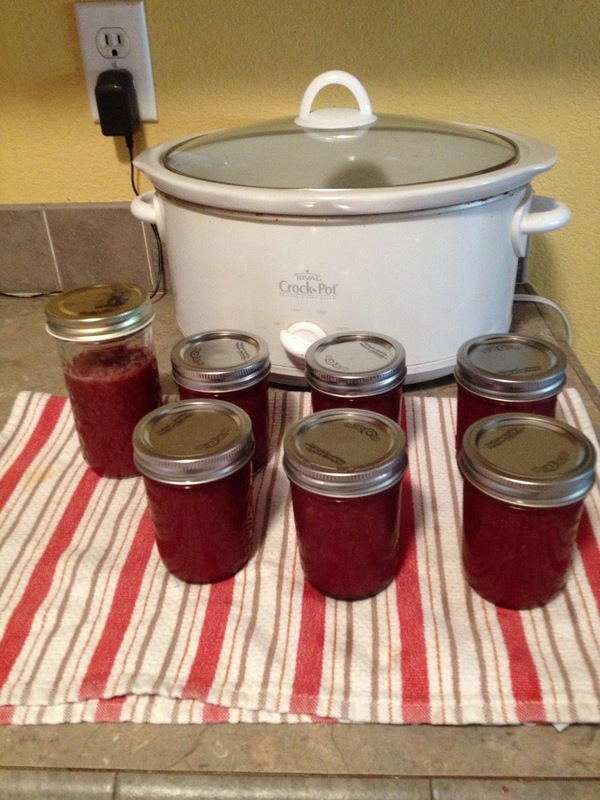 This is not what you'd usually do for a jam. For jam, you'd probably chop them into small pieces. To the puree I added some apple juice, maple syrup, and a touch of lemon juice. And then it was heated to a boil. and finally it was processed in a water bath. 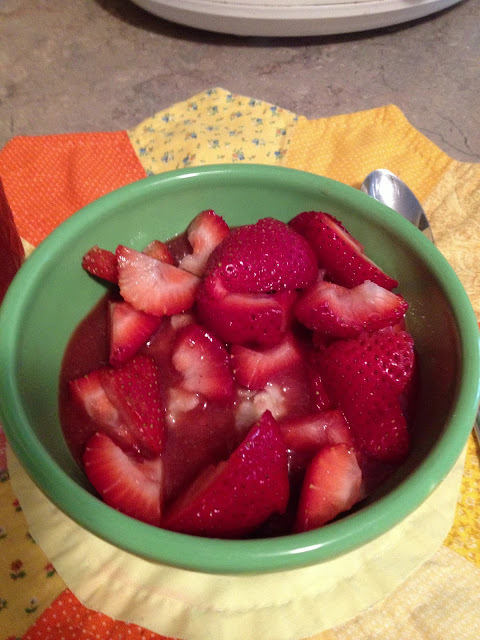 A bowl of oatmeal with Strawberry Maple Smooch and even more strawberries made for a delicious breakfast. With the rest of the strawberries, we made some other jams. I taught Conor to hull the berries for me and he got pretty good at it! 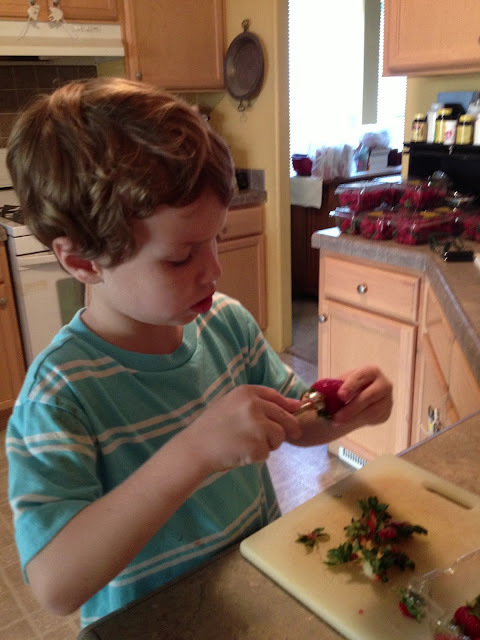 Amazing how teaching a child even a simple task can boost confidence. This one was Strawberry-Orange Jam, and oh, my goodness it smelled so heavenly! I am SO excited to try this one out. 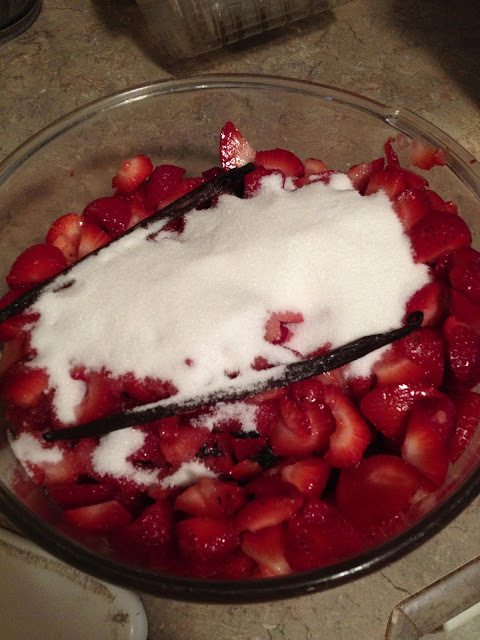 While the Strawberry-Orange was cooking, I cut up more strawberries and prepared them to macerate in the fridge overnight with the sugar and vanilla beans. This was for Strawberry-Vanilla Jam, and it also smelled so divine. 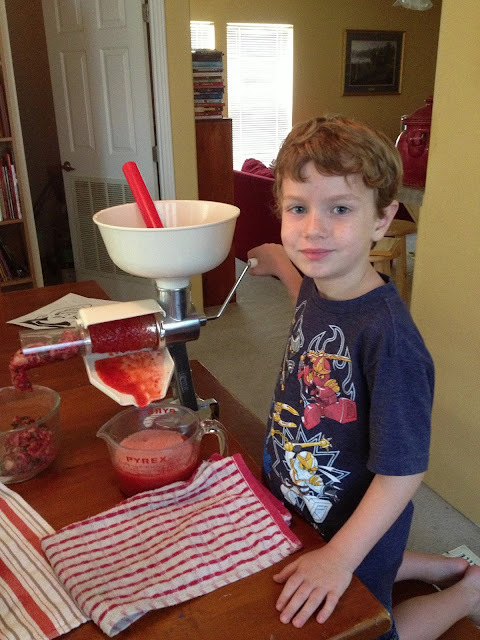 Finally, we used the food mill (Conor's favorite jamming task) to process the rest of the berries for Seedless Strawberry Jam. Just the basic strawberry jam, mostly for sandwiches. 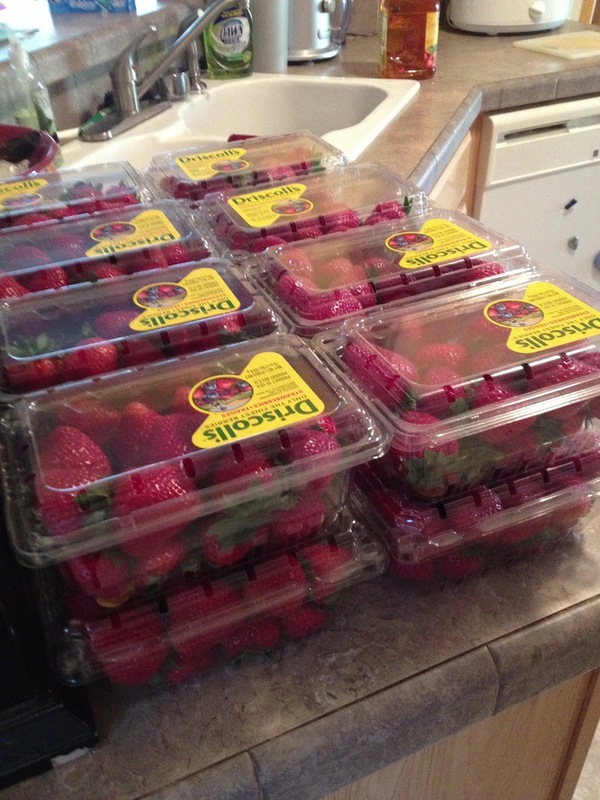 I ended up buying 25lbs of strawberries this year. We are set! 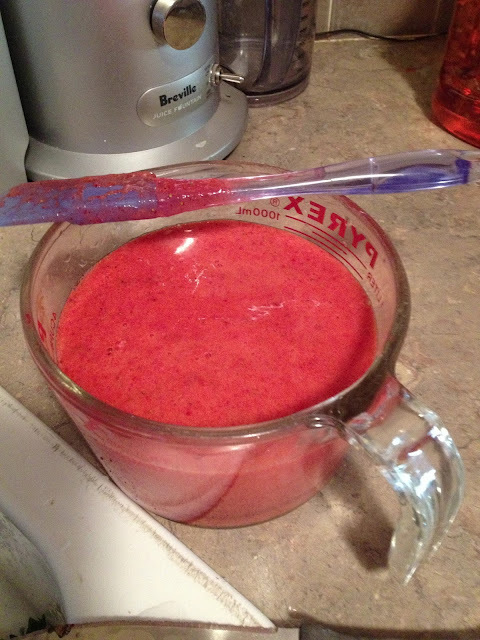 Plenty were eaten fresh, and some were frozen for smoothies. 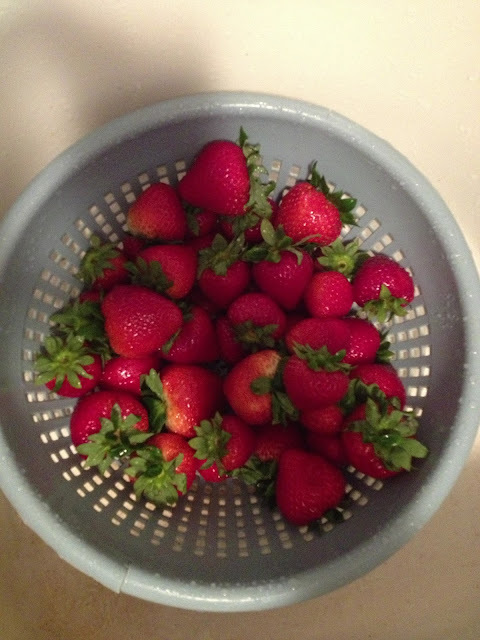 Nothing like putting up the bounties of summer to enjoy all throughout the year!